Maintaining inventory accuracy is one of the biggest challenges retailers face these days. Between admin errors, stock movement, shrink, and a whole range of other issues, it’s all too easy to lose track of your inventory, and before you know it, the numbers you have on paper are nowhere near the actual stock count. Fortunately, there’s another way. Retailers who are looking to regularly count items without having to temporarily close their stores can implement cycle counting instead. Cycle counting is the process of partially counting merchandise on a continuous basis so you can stay on top of stock levels without having to interrupt regular store operations. This task entails that you count just certain portions of inventory on a daily or weekly basis so you won’t have to do a full inventory count anymore. In this post, we’ll talk about how you can effectively implement cycle counting in your store. Check out the steps and tips below. Most retail and inventory experts recommend using the ABC method to portion out which items to count. This entails dividing your products based on value, and then counting the most valuable items more frequently. Take the top 20% of your items in terms of cost or turnover and put them in Group A. Then, take the next 60% of products then put them in Group B. The remaining 20% will belong to Group C.
Next, decide on how often you’re going to count the items in the three groups. Products in Group A should be the most frequently counted, followed by Group B, then C. Cycle counting frequency will depend on your inventory and store, but you’ll want to complete multiple cycle counts per year to maintain inventory accuracy. Another good factor to consider when cycle counting seasonality. If a particular category or product type is in season (e.g. plaid shirts in the fall), you should count them more often. You can choose to be more arbitrary with how you cycle count. For instance, you can portion and count items according to where they’re located on your sales floor or stock room. In this case, you’d probably want to create a map indicating where each section or shelf is located, then create a system where you’ll count items in shelves 1-3 on one day, then move on to 4-6 the next, and so on. You can also cycle count according to the products’ department, supplier, type, or brand. It’s really up to you and what makes the most sense for your business. But regardless of which method you choose, the key is to stay systematic and organized. Figure out a process that works for you, document it, put it on your calendar, then implement (and refine if necessary). It also helps to use nifty tools that’ll enable you to perform cycle counting more efficiently. Do yourself a favor and don’t use a pen a paper. Instead, utilize inventory management software to get the job done. Doing so will not only make you more productive, but it’ll help you spot inventory issues more quickly. 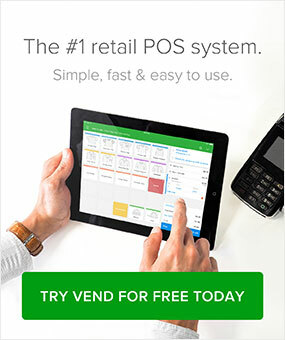 Using Vend? Take advantage of our Inventory Counts capabilities that let you implement custom stock-takes by brand, supplier, type, tag, or SKU. You can also schedule counts in advance and have multiple users perform partial counts simultaneously, from different devices. You may have a great system on paper, but if your products are all over the place, you won’t be able to implement the task successfully. Take some time to organize your store. Make it easy for yourself (or your staff) to physically see and count the merchandise. This means that items have to be in right shelves or containers. Take a look around your store or back room to ensure that products aren’t out of place and important areas, boxes, or fixtures are properly labeled. Restocking from understock, overstock or backstock must be completed before counting begins. All received purchase orders and inbound transfers need to be received in the system and physically put away. All completed customer orders need to be closed and invoiced. Once you have your physical products and paperwork (or digital records) in order, start physically counting items according to the system you’ve determined in the previous steps. This part is pretty straightforward. When counting items, stay focused on the task, double check your numbers, and stick to your system. If possible, have two people count the same merchandise independently, then have them compare counts to ensure accuracy. Once the counting is done, review your records and determine your next course of action. For example, if you notice any huge discrepancies, then you may want to dig deeper to find out why your numbers aren’t matching up. Do you need to be more organized? Should you be worried about theft? The only way to answer these questions is to do your stock-takes regularly, look at the numbers, and investigate accordingly. While the primary purpose of cycle counting is to maintain inventory accuracy, there are a lot of other benefits that can come out of it. 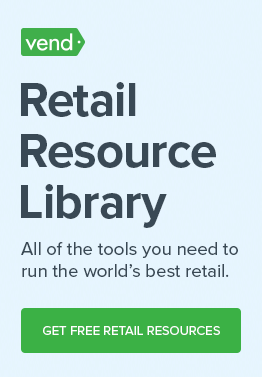 For one, it can help you run your store more efficiently. Since your staff is aware that you’re doing regular stock-takes, they’ll be more likely to stay on top of admin work, put items in their proper places, and be more organized overall. We hope this post helped you see the value of cycle counting and gave you some ideas on how you can implement it in your store. If we had to leave you with one more thought, it’s this: the key to cycle counting success is to make it a habit. The benefits we talked about–inventory accuracy, store efficiency, and theft prevention–all that will only come if you cycle count regularly. Yes, the task can be repetitive, but stick to it anyway. Trust us, the time and money that it can save you are well worth it. Do you implement cycle counting in your store? How is the method working for you? Let us know in the comments. This is useful information. Especially the ABC methodology of doing inventory is helpful for stores doing higher volume sales. I am looking forward to some posts with respect to effective space management in warehouse/backroom of such stores. Typically, methodologies such as floating locations system and so on. Thanks, Amit! Space management in the backroom is certainly an interesting topic. We’ll keep it in mind!